What passport/visa documents will I need? All travelers will need a passport valid for at least six months after your arrival date. Upon arrival at immigration you’ll receive an entry card which you should keep with your passport. Citizens of the US, Canada, UK, Japan, South Korea and the Schengen area can visit Costa Rica as a tourist visa-free for up to 3 months. You may be asked to show proof of onward travel. What currency and cards are accepted? Costa Rica uses the colón, symbol ₡, which is subdivided into 100 centimos. US dollars are widely accepted and readily converted. UK sterling and Euros can be converted in airports and cities. Try to have notes in pristine condition, notes with tears may be rejected. Visa, Mastercard and American Express are widely accepted, especially in cities and in larger hotels. Are banks, currency exchange and ATMs easy to find? You’ll find ATMs in virtually every town and city, usually connected to international networks. ATMs will usually dispense colón and USD. You’ll find banks and currency exchange in major cities and airports. It’s usually faster to change currency at the airport or your hotel. Banks are open from 8:30 - 11:30 and 2 - 4:30pm, and are closed for holidays. For personal spending (outside of hotels, tours, transfers and other items covered in your itinerary), you should budget between $200 - $400 per week. This would cover meals not specified in your itinerary, drinks, liquor, tips, souvenirs, etc. Prices are roughly equivalent to or slightly higher than US prices. Make sure your routine vaccinations are up to date: measles-mumps-rubella (MMR), diphtheria-tetanus-pertussis, varicella (chickenpox), polio, and your yearly flu shot. For other vaccinations check with your doctor at least three months before departure. Is Costa Rica good for kids? 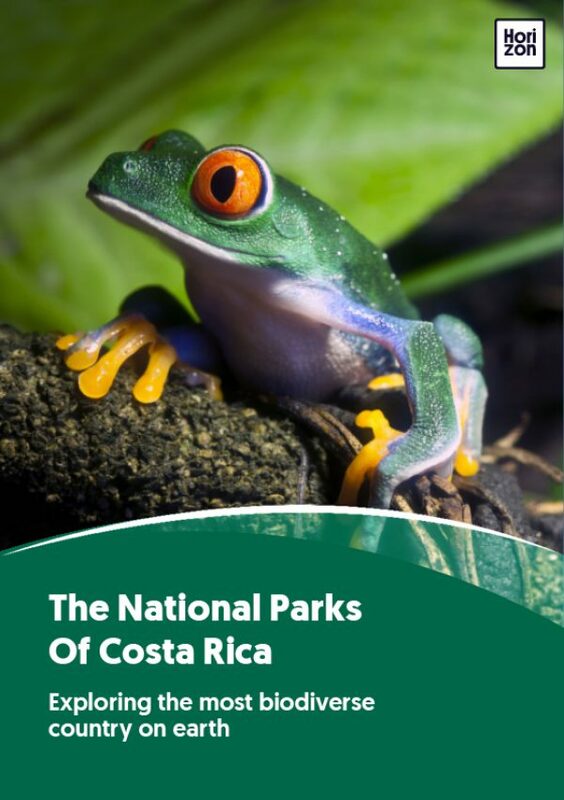 Costa Rica is generally an excellent destination for families and younger travelers offering everything from canopy zip lining and river floating, to wildlife spotting and fun beach towns. A few considerations to keep in mind: there may be long transfers to and from airports and destinations, often over fairly bumpy roads. Child car seats may not be up to ideal standards, so if you’re renting a car maybe bring your own. Certain baby care items may not be available in rural areas, but can be found in most towns and cities. Costa Rican cuisine is relatively unchallenging for infants and staples like Gallo Pinto (rice, beans, sometimes with plantain, eggs and cheese) are usually a safe bet. Travel insurance isn’t mandatory but is strongly advised. Costa Rica is a safe and convenient country but unforeseen circumstances can occur any time, any place. It always makes sense to travel with a policy that covers accident, medical, baggage and cancellation. Note that your credit card insurance may not apply in certain circumstances. What power adaptors will I need? The Costa Rica grid runs on 110 volt AC at 60 hertz, with type A / B power sockets. Spanish is the official language in Costa Rica. English is widely spoken in tourist centres, and at hotels, restaurants, etc. Knowing a few words of Spanish will go a long way and is always appreciated. GSM network coverage in Costa Rica is improving rapidly, although is still patchy in rural areas and national parks. You’ll find LTE 4G coverage in most cities. You can make international calls from hotels or public call centres/internet cafes (called locutorios). You can also use public phone booths with pre-purchase cards available at newsstands. International calls are expensive, especially from hotels. To save money try to have people call you back instead. Tipping is not essential but will always be appreciated. Tipping expectations are less rigid than in the US and you can tip what you feel appropriate using the guidelines below. Don’t worry about offending anyone. Keep small bills (either USD or colón) for tips. Private drivers: $5 per passenger, per day. Slightly more if the driver is also guiding, or for longer journeys. Local guides: $5-$7 per person, per day. For naturalist or specialist guides up to $10-$15. Luggage handlers: $1-$2 or $0.50-$1 per bag; room cleaning staff: $1 per room per day, unless a service charge has already been added. Restaurants: 10-15%, check if a service charge is already added. Is it okay to bargain/haggle? In cities and larger stores prices will be fixed. Artisans and souvenir markets may be flexible, but the initial quoted price will always be fairly close to what is expected. If they’re flexible on the price aim for 70-80 per cent of the original price. Always bargain with a smile and a friendly demeanor. Costa Rica is renowned for being a safe and convenient country to visit. This is one of the least threatening places on earth. The Tico spirit is outgoing and welcoming and your presence will be warmly appreciated by everyone you meet. That said, complacency can easily lead to inconvenience or worse. Keep the following in mind to ensure a happy and successful trip. Don’t keep all your money and important documents in one place. Keep cash and passports in a money belt or pouch, and keep a copy of your passport safely elsewhere. You can scan and email a copy of your passport to yourself so it’s always available online. Leave the fancy jewelry at home. Don’t unpack your belongings in public or show large sums of cash and expensive gadgets. Pay attention to your surroundings, especially when using ATMs and currency exchange or in busy environments. Pickpockets are fast and skilful and may set up false diversions to distract you while someone else rifles through your bag or purse. Never leave bags unattended or out sight. Use hotel secure storage to leave bags and the safe to store any valuables. The better your physical condition the more you will enjoy your trip. Be prepared for different climates, altitude, physical exertion and a different diet. Use your departure date as an opportunity to get in shape and prepare for your trip, especially if you’ll be doing any mountainous hiking. Food and sanitary standards in Costa Rica are of generally high standards but you can reduce the risk of getting traveler’s tummy with some simple precautions. Tap water is considered safe to drink but bottled water is widely available in cities, and purified water is available in lodges and rural accommodations. Bring a water canister to fill up, rather than using disposable plastic bottles. Avoid unwashed fruit and vegetables. Previous Nature Photography In Costa Rica Next Welcome To South America!